SynSysCo maintains Edwards GVSP-30 Scroll Vacuum Pumps. The Edwards GVSP-30 is manufactured by Anest Iwata Inc. and private labeled for Edwards. 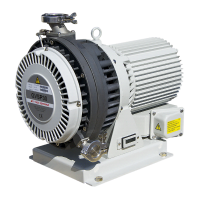 SynSysCo is a global distributor and an authorized rebuild center for all Anest Iwata manufactured scroll vacuum pumps which includes the Edwards GVSP-30 Scroll Vacuum Pump.